At this point, people know that the youth are going to feel the effects of climate change, so I guess it’s only fitting that we are the leaders of the movement. 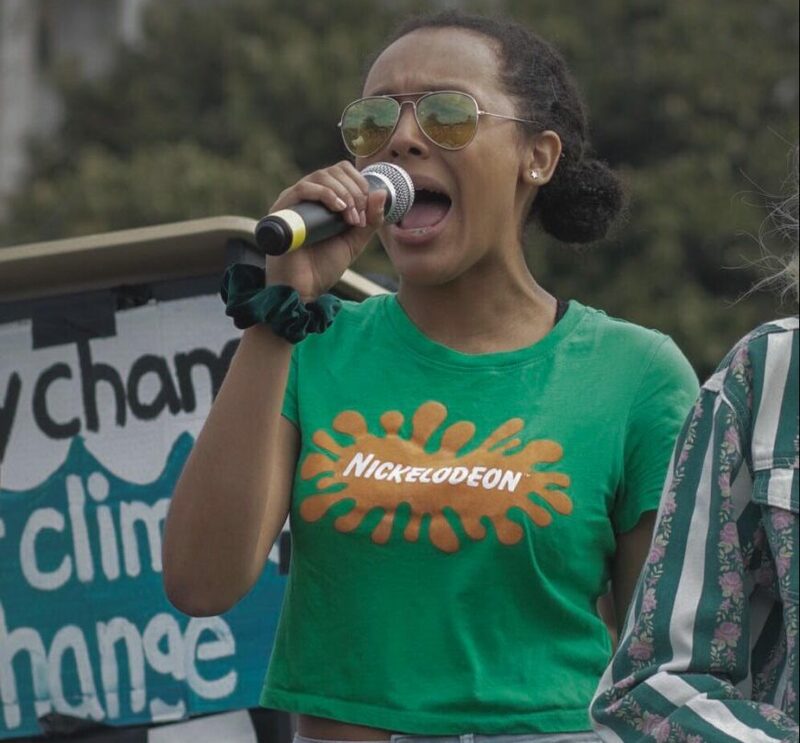 My name is Alicia, I’m fifteen, and I am a climate activist. 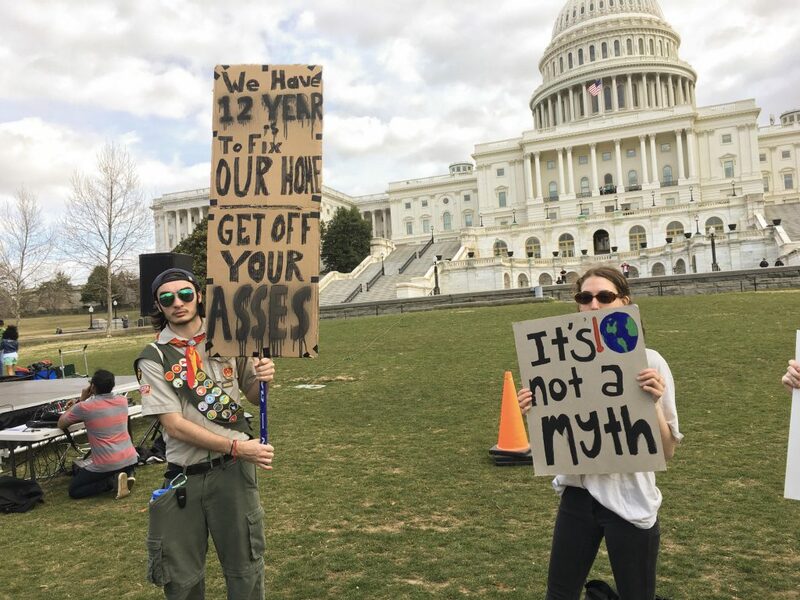 The worldwide climate strike that happened on March 15th was a jumping off point for a lot of teen activists I know. The youth-led nature of the movement is what got a lot of my friends interested in activism and climate justice over these last few planning months. A promotional banner for students at Alicia’s high school. 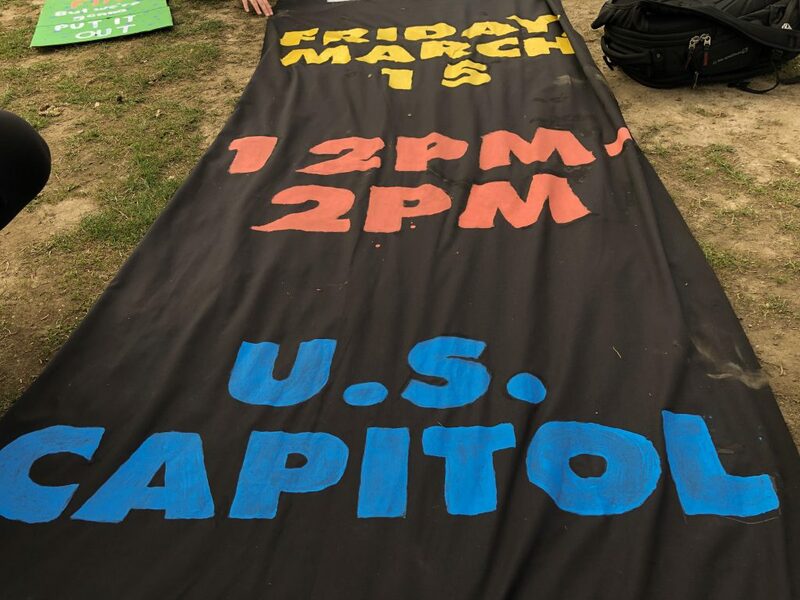 As school organizers for Montgomery Blair High School, my team and I had to figure out how to get kids from our school to the rally at the US Capitol in DC. In doing that, I got to lead a march of around 200 students from high schools in my district. This was the first time I actually saw the effects of my work in activism, and that feeling was what inspired me to take up more of a leadership position during the walk and at the rally itself. The energy at the rally was amazing, and it really blew all of the participants away. The national organizers were so on top of everything, and some members of my team and I ran some chants before the speakers started coming up. The energy we felt from in front of the crowd was absolutely electric. Students from Montgomery Blair High School in Silver Spring, MD holding up signs in front of the Capitol. I think that by the end of the event, the people really had a grasp of why they were there, and why sacrificing a day of school was worth it. We understood that it was time to hold politicians accountable for their actions, and not to take “no” for an answer. We have until 2030 to reverse the effects of climate change. That’s eleven years. Eleven high school graduations. Eleven senior proms.Thousands of chances that we will have to fix this that politicians will force us to leave untaken. We stood there at the US Capitol, in Tokyo, in Finland, in Cape Town, because our time is running out. I hope the politicians up in that capitol building know that theirs is too.